We have several recipes for desserts where one of the ingredients is skinned almonds. One of our very popular recipes where you need skinned almonds is the traditional Danish Christmas dessert Risalamande. 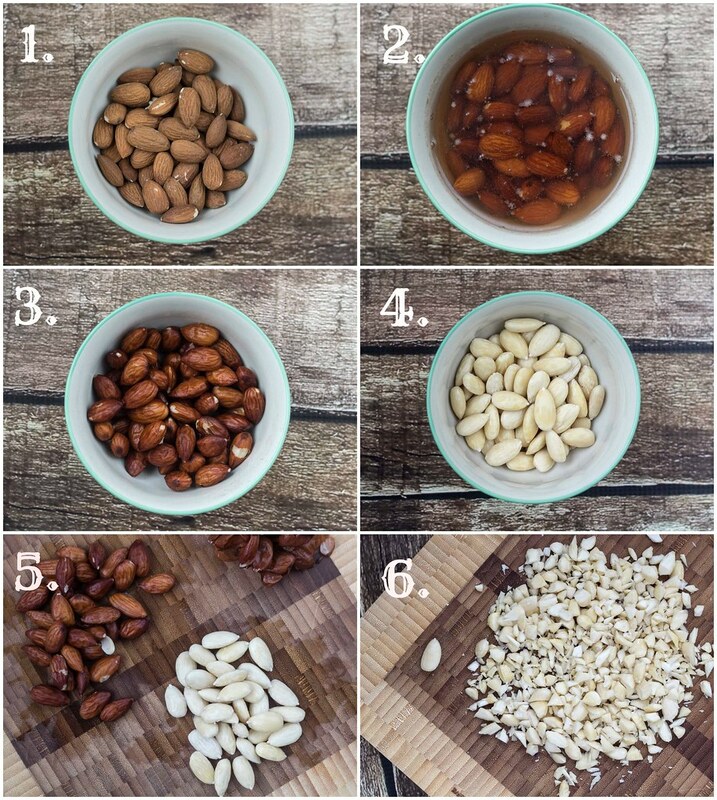 This how-to guide shows step-by-step how you can skin almonds in a very easy way. Follow the simple directions below and look at the pictures. If you are interested in some of our other guides you can take a look at our how-to: archive. Step 2: Boil 2 dl (1 cup) of water and pour it over the almonds. Step 3: Let the almonds soak in the hot water for about 1-2 minutes. Step 4: Pour the water out of the bowl and rinse with cold water. Step 5: Pour on another 2 dl (1 cup) of boiling water and let the almonds soak for another 1-2 minutes. 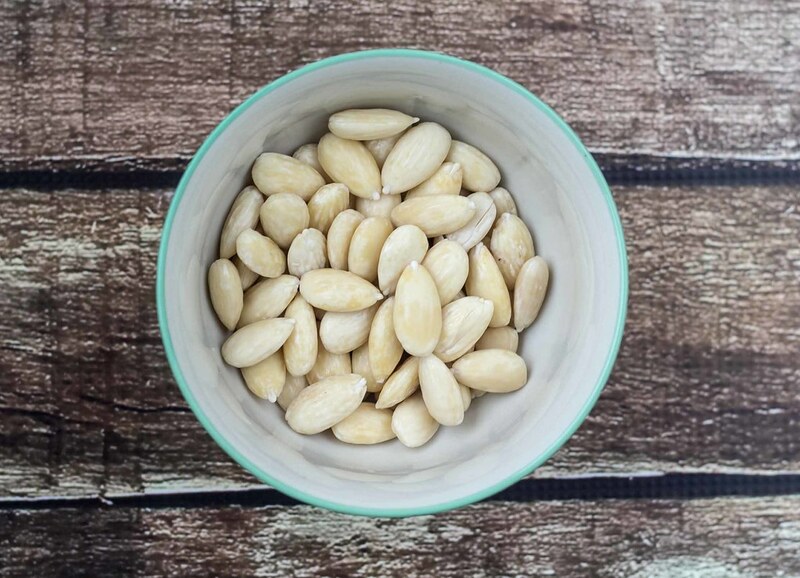 Step 6: Gently squeeze the almonds between two fingers, this will loosen the skin and you can peel it off. The tip on how to peel almonds was very useful and worked as you said. Thank you very much. Yes, thanks! I am glad I stopped before ruining a special recipe. Worked perfectly. Thank you for the tip. How long do you recommend drying them in order to cop or grind up without the mixture becoming a clumped wet mess? Thank you in advance for your time and assistance with my question! Have a good weekend! When the almonds are skinned then you can use them after about 15 minutes i would guess. The almond itself doesn’t hold the water.